What if there was no tomorrow? Or, hypothesizing that you survive the initial blast, what if tomorrow now means a radically remade world where North Korea has fired a nuclear missile at us, the United States has responded with "fire and fury," and nothing is as it was yesterday? Well, you might as well go big first. These are Los Angeles&apos; best last meals for luxuriating in the living—while you still can. Before Nobu was a global empire, there was La Cienega&apos;s Matsuhisa. 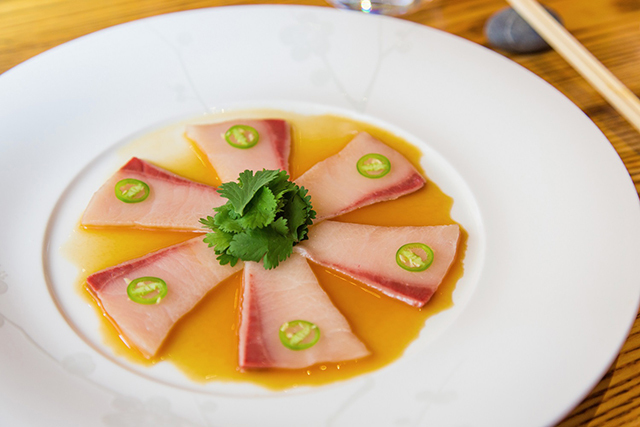 Opened in 1987, the eponymous sushi temple is where chef Nobu Matsuhisa changed the game. LA Weekly says it&apos;s "the most influential [restaurant] in California since Spago," and they are not incorrect. The fish is flawless and the fare is high-end, but the actual space is decidedly low-key. Since the end is nigh and your credit card bill may never arrive, go for the omakase menu, or chef&apos;s choice, which starts at $100...but you might as well get the $200 option, because #YOLO. Sitting outside at chef Steve Samson&apos;s new downtown restaurant Rossoblu is unseasonably lovely, even for Los Angeles. Samson (of Sotto) brings beautiful Bolognese cooking to the most beautiful patio in the Arts District (technically, the complex is City Market South). Everything on the menu is delicious, but the pastas (and single risotto on the menu) are what really sing. The "Mom&apos;s Minestra Nel Sacco," made of perfect parmigiano reggiano dumplings in brodo, will make you believe in God one last time before humans destroy each other. Vegetarians deciding to eat meat before the end can do no better than Samson&apos;s Bolognese ragu. 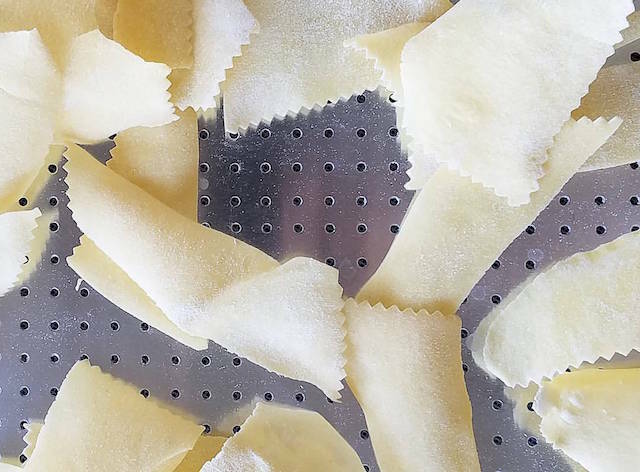 Bring a group, order all the pastas (you can possibly skip the tortellini in brodo if you are going with the minestra, which you must go with, since they are somewhat similar) and enjoy. What better way to ring in a new atomic era than in the ultimate Atomic Age coffeeshop? 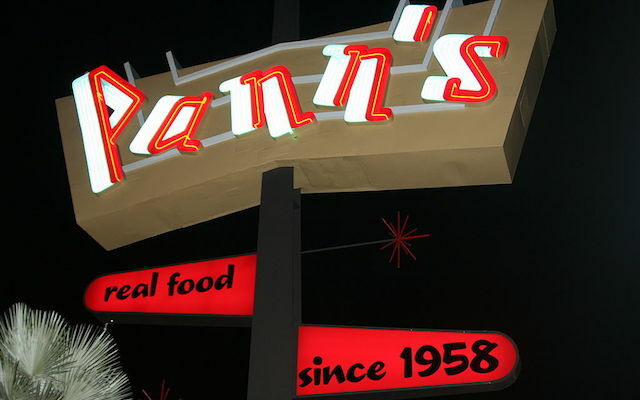 Pann&apos;s is more than an L.A. institution; it&apos;s one of the best examples of futuristic Googie architecture in Southern California, where the style originated. Wallow in nostalgia while getting cozy in a booth at Pann&apos;s, where breakfast is served all day and the biscuits are next level. Get the Texas-style french toast and the Belgian waffles and buttermilk pancakes and cover everything with butter and syrup. Much like life, most of the food at Pann&apos;s is good but not great, and yet something about it remains deeply satisfying. Order it all with extra powdered sugar and savor the proximity to the airport, just in case you can still catch a flight to Switzerland. (Photo by Danny P. via Yelp). The ever bustling Tire Shop Taqueria, a several-night-a-week makeshift restaurant serving up unreal Tijuana-style tacos in the parking lot of a South L.A. tire shop, is every thing that&apos;s good about Los Angeles in a nutshell. The line is often long, but the smell of the carne asada on the grill will satiate you while you wait. 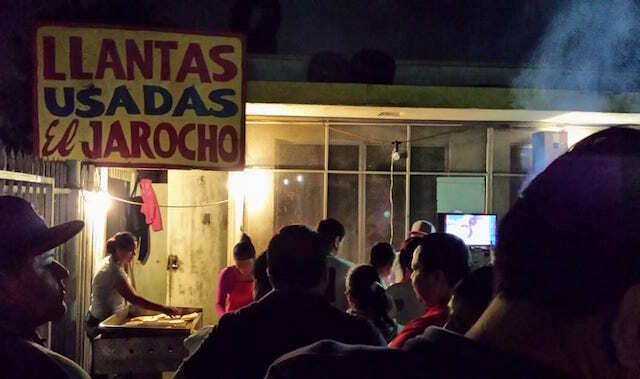 The tortillas are made to order from the most gorgeous ball of dough you have ever seen, the crunchy vampiros are just as good as the tacos, and you would probably be remiss if you didn&apos;t also get a quesadilla while you&apos;re at it. Tacos, by the way, will set you back a mere $1.50 a pop. Tire Shop Taqueria is located at 4069 S Avalon Boulevard in Historic South Central. They are in the parking lot from approximately 6 p.m. to 11 p.m. Thursday through Monday. Sometimes, familiarity is what we need most in uncertain times. 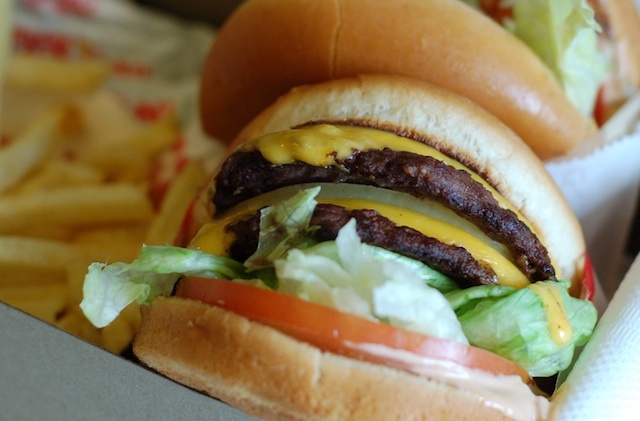 For Angelenos, few things are more comforting than the meaty joy of a classic In-N-Out burger. Is it the best burger in Los Angeles? Certainly not. But is there a single burger that means more things to more people? That—in a single bite—can summon up high school afternoons and road trips and parking lots and childhood red letter days more succinctly? Also certainly not. So if this is really it, get in a car with someone you love and drive to the nearest In-N-Out. Order some double-doubles because life is short (literally). Take your burgers and fries and shakes and park somewhere with a view (we personally like the Sherman Oaks In-N-Out for proximity to Mulholland). Eat, talk, and look out at the perfect city below you. We sure had it good for a while, didn&apos;t we? In-N-Outs are located across the city. The Sherman Oaks In-N-Out is located at 4444 Van Nuys Boulevard in Sherman Oaks. Find the full list of locations here.